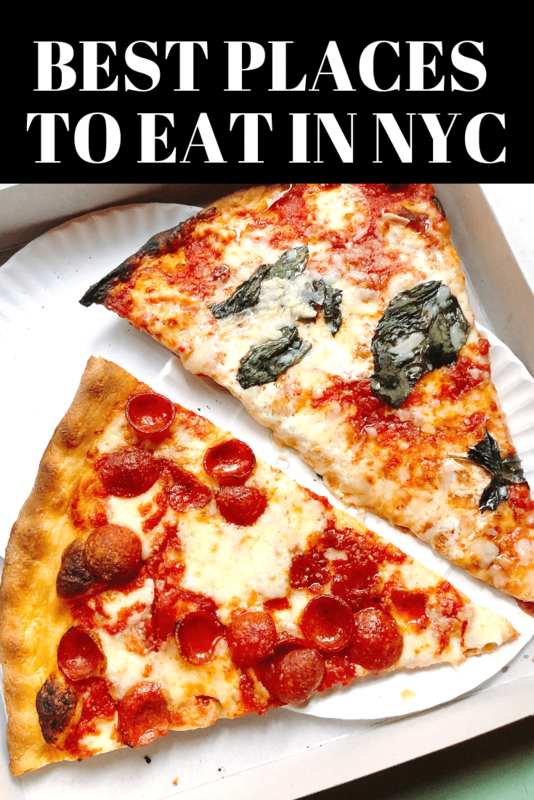 The Best Eats in New York City - A Foodies Guide! 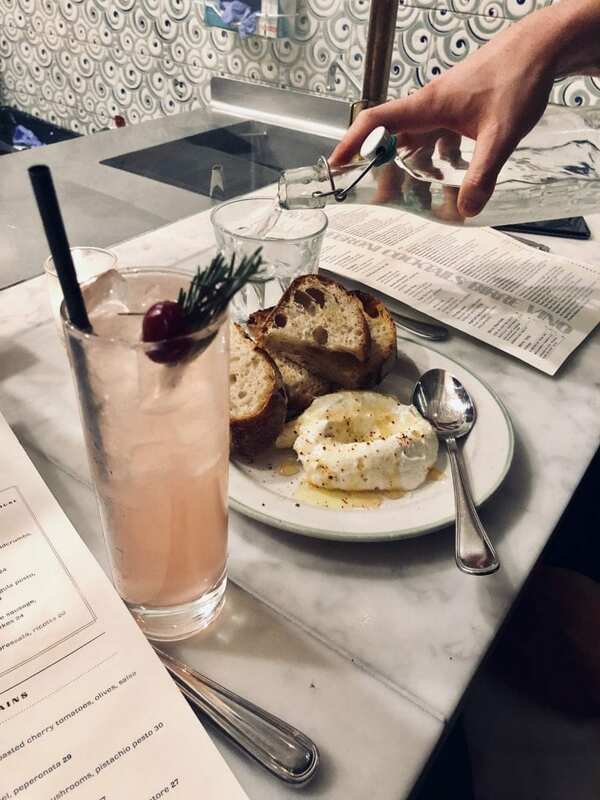 Here is a list of the best places I have eaten at in New York City (NYC) along with some GREAT recommendations that I cannot wait to go back and try! As many of you know, I spent ten days in NYC with my husband to be recently! We basically ate, drank and slept our way through the trip and had the time of our lives doing it! I want to share my favorite places we visited, along with the long list of places people recommended to us as well! Prince Street Pizza: Pizza. Eat all the pizza! You’ve gotta try their pepperoni! The traditional cheese slice is bomb too! La Pecora Bianca: An awesome little Italian restaurant where we went for dinner. We had the whipped ricotta with truffle honey for an appetizer and for dinner we shared the rigatoni and roasted sasso chicken. For my cocktail I had the forbidden fruit: aperol, pomegranate, prosecco, oregano. So refreshing and delicious! Pepe Giallo: We loved this little spot so much that we went twice. They have simple, authentic Italian food and fresh pasta. It’s a cozy spot! Great pizza – we tried the margherita and the salsiccia (sausage). For an appetizer they have great calamari. All of their pasta’s are amazing. The pappardelle and spaghetti bolognese were incredible! Momofuku NoodleBar for ramen! We also had their brussels for an appetizer! Russ and Daughters – we had their bagels and lox and rugelach. Oh, and an amazing spicy pepper bloody mary. Ferris: We went here for just a cocktail but ended up having their bread and butter too…life changing bread. 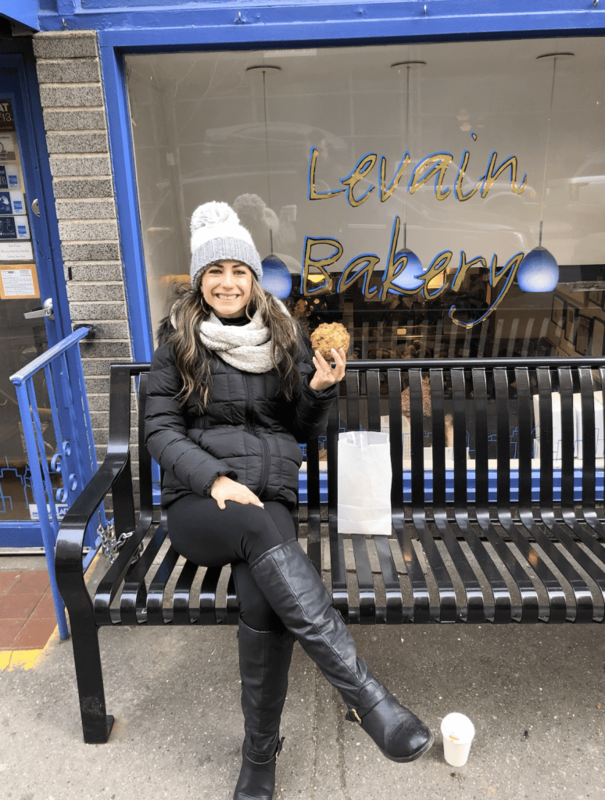 We explored Chelsea Market – tons of cute little places to stop and get a bite to eat for lunch or a snack. We stopped into Sarabeth’s and I got breakfast muffin that had a hard boiled egg in the center. mmm. Speaking of Sarabeth’s we went to the location right by Central Park as well one day and had an incredible breakfast. Little fancy – but delicious. Cameron had eggs benedict and I had short ribs with eggs! DEZ: Fast Casual Middle Eastern food! They have really good vanilla soft serves too, they switch them up every month. Eataly: So much to eat and buy here! Loved hanging out here one afternoon. J.G. Melon: Burger. Nuff said. Van Leeuwen Ice Cream – they have classic and vegan ice cream! I had coffee and Cam had the mint chip! Speedy Romeo: Pizza place that does not disappoint. We stopped in here after walking through China Town and Little Italy. The Standard, High Line: If you’re looking for a cocktail, this is thee place. The Wild Son: Bloody Mary and Mimosa/brunch food. So good! The Butchers Daughter: Everything is good. Trust me! Black seed: BAGELS! Best bagel in Nolita they say. Zabars for a real Jewish bagel! west~bourne: LA-inspired cafe with a charitable mission, serving breakfast, grain bowls, coffee, beer & wine. Mimi – cute & small restaurant with French influences. Marea – 2 Michelin stars, homemade pastas. Pretty fancy! Please Don’t Tell (P.D.T.) speakeasy bar. You can only make a reservation the day of at 3pm. It’s hidden in an amazing hot dog place! Tipsy Scoop: boozy ice cream treats! As I travel more, or even hear from you all – I will continue to add to this list. Thank you for any recommendations! Love this post? Be sure to PIN all of these great places to eat in New York City for when you make your trip! I hope this is a helpful guide to all of you foodies out there! Enjoy NYC!